CBJ congratulates this year’s inductees into the Academy of Women of Achievement. May their spirit and stories serve as an inspiration to all of us. 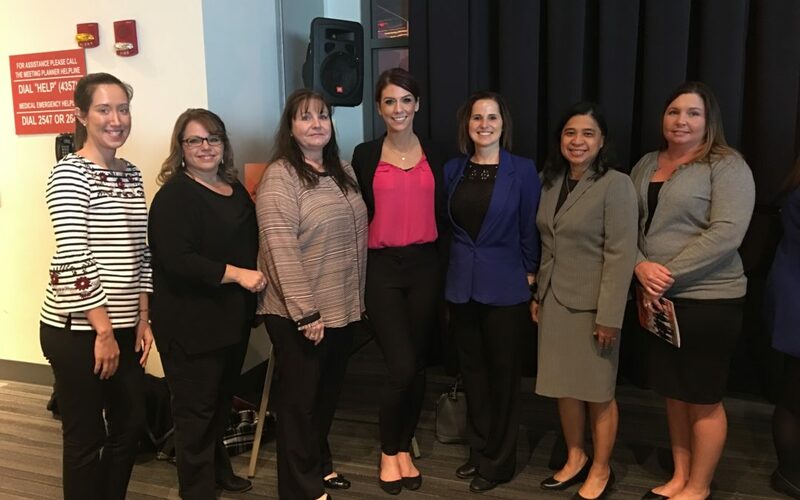 Representing CBJ at the luncheon were (L-R) Chelsea Perl, Tina Kaschak, Debbie Wyche, Sarina Glick, Wendy Coffey, Eileen Bower and Dustin Zink. Congratulations ladies! It’s recognition for being strong leaders in the work place! IT’S GREAT TO HAVE AN HONOR & YOUR FIRM KNOWS THEY ARE PROUD TO HAVE YOU IN THEIR LAW PRACTICE! The contributions are documented forever now in our social media!